Our AC is running but does not appear to be cooling properly. I would like someone to evaluate the system and diagnose and hopefully propose a solution. Thank you. This person has filled out the Star Power Pro survey on comfortservicesinc.com that you sent them and is interested in another service you provide: heating & cooling. Please contact them to schedule a new appointment for this service. This is a no-charge lead. AC unit no longer working. Estimate for repair or replacement needed. I live in an older model apartment and there is presences of mold in the vents and an abundant amount of dust. I usually dust once a week but the dust comes back faster every week. When the air is on you can see tge dust flying tgrough the air and you can see it on the ceiling. Am considering replacing fan and or computer in air handler VS replacing entire system. it is 2006 Trane system. "Understood our need and did not try to sell us more than we..."
I need an estimate for removal of old insulation and installing on spray foam for our attic. Interested in home energy audit and insulation improvements to attic space. Would like to have an inspection of our crawlspace and its waterproofing options with an estimate. Need new HVAC for residential property. Need a quote for a heat pump / AC system and gas / AC. I'm looking at making sure my crawl space is properly insulated and energy efficient. 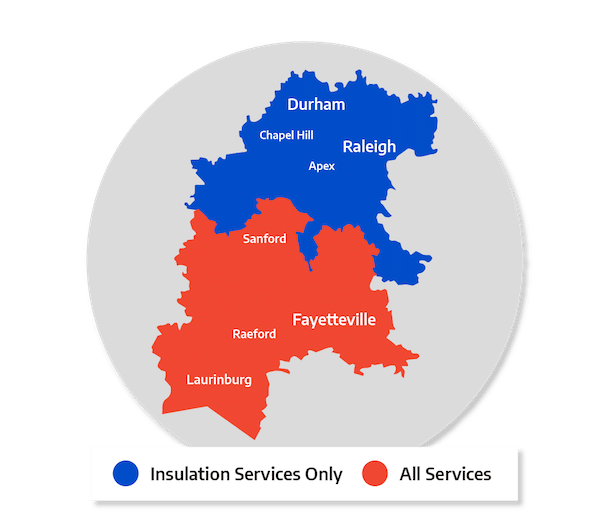 I am also looking at insulation the room over the garage and possibly attic with your superattic insulation. Our central heat isn't working (blowing room temp air through vents) and I couldn't troubleshoot the issue myself. Looking for a quote for a 2 ton minisplit A/C unit.